Pockethernet is a useful network tester that provides you with a good feature set and is easy-to-use with your smartphone. Pockethernet is remarkably good value. It’s at a price point that puts a fairly comprehensive set of features within the reach of not only professional engineers but also domestic network engineers. Pockethernet comes with 20+ Features that are essential for anybody working with Ethernet networks. Check the Ethernet link, speed and duplex settings; view traffic samples, VLAN tags and CDP/LLDP information. See DHCP results; check DNS resolution, HTTP queries, and Ping. Net €167.23. Plus 19% VAT for EU customers. See shipping costs in the shop. The Pockethernet smartphone app, created for use with the Pockethernet hardware, is the control center for the hardware. The app is easy to use and has an intuitive UI. 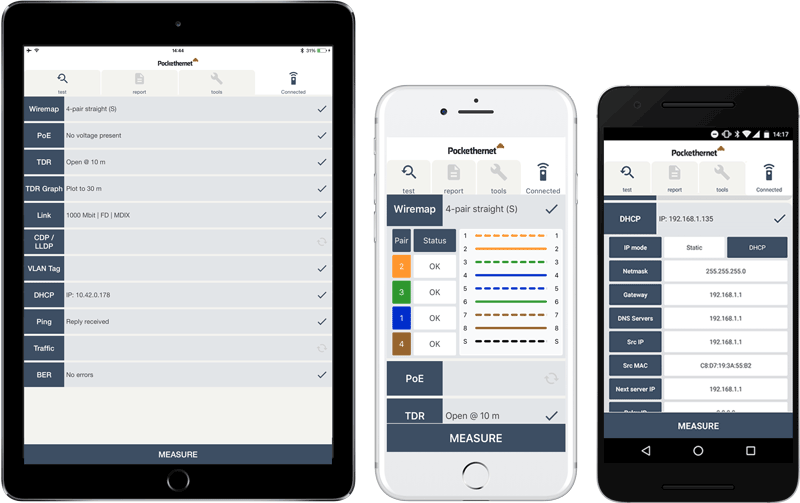 You can individually select which tests you’d like Pockethernet to perform, and conveniently run multiple, consecutive tests in order to generate a complete measurement report. Once you're finished, you can export your results with the press of a button in PDF or share them through a phone’s OS's native share menu for further processing. The app connects over bluetooth with your Pockethernet hardware. Set the VLAN tags, PCP and DEI for outgoing DNS, DHCP, HTTP and Ping requests. View tagged and untagged traffic with the traffic monitor. View the content of CDP and LLDP messages to identify network ports more easily. If the switch port supports it, you can instantly view the connected chassis and port ID as well as the native VLAN. Let Pockethernet toggle the Link LED on switches and routers to easily find the cable you are looking for. Set the link speed to toggle a change of color for the port LED. No more need to carry around a notebook all day. No more crawling under tables or behind racks. No more expensive subscription plans. No more breaking the bank for a network tester. With Pockethernet you'll have all features for troubleshooting Ethernet networks in the palm of your hand. Is my phone/tablet compatible with Pockethernet? Can I use Pockethernet without a phone/tablet? Am I able to use the Pockethernet app without the hardware? No, without the hardware you can't use any of the features. Will you release a Windows phone app? No, this is currently not on the roadmap. Does Pockethernet do cable certification? No. 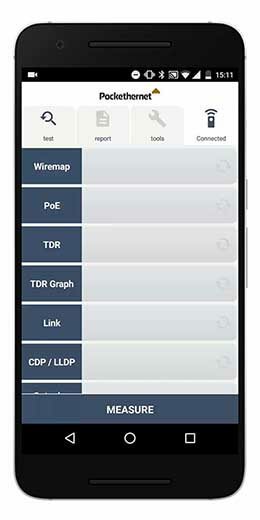 Pockethernet is not a "cable certification" device, but performs cable qualification and verification. What does a measurement report from Pockethernet look like? Does Pockethernet come with a warranty? Yes, Pockethernet comes with a standard limited 1 or 2-year warranty, depending on your region. All customers inside the EU have a 2 years warranty, all others have a 1 year warranty. Why can't I do any testing while my Pockethernet is plugged in the USB port? While the USB port is connected, no measurements can be made. The device must be off for regulatory compliances. Does Pockethernet come with a tone probe? No, Pockethernet does not come with a tone probe. A huge variety of them are available for between $20 and $200. The higher-end probes are usually more sensitive and do better 50/60Hz humming rejection. Any analog tone probe should work with Pockethernet. Pockethernet, how the do i pronounce that? Can I connect Pockethernet to a phoneline? No. Technically the device shouldn't get damaged by it, but it's still not allowed since it doesn't have protection against lightning strikes or similar high-voltage events that can happen on a phone line. Why is the device making click sounds while running tests? There are moving parts inside which make this noise, they are called relays, if you look inside you can see them, the 2 white blocks just behind the ethernet port. Why does Pockethernet switch off if I don't use it for a few minutes? If there's no Bluetooth connected, the device will switch off after 2 minutes for powersave purposes. If there's a Bluetooth connection, the device won't switch off. Can you advise a tone probe to use with Pockethernet? A huge variety of them are available for between $20 and $200. The higher-end probes are usually more sensitive and do better 50/60Hz humming rejection. Any analog tone probe should work with Pockethernet. In case you’re not sure, just ask us at: info[at]pockethernet.com and we’ll let you know. Why do you not ship Pockethernet worlwide? 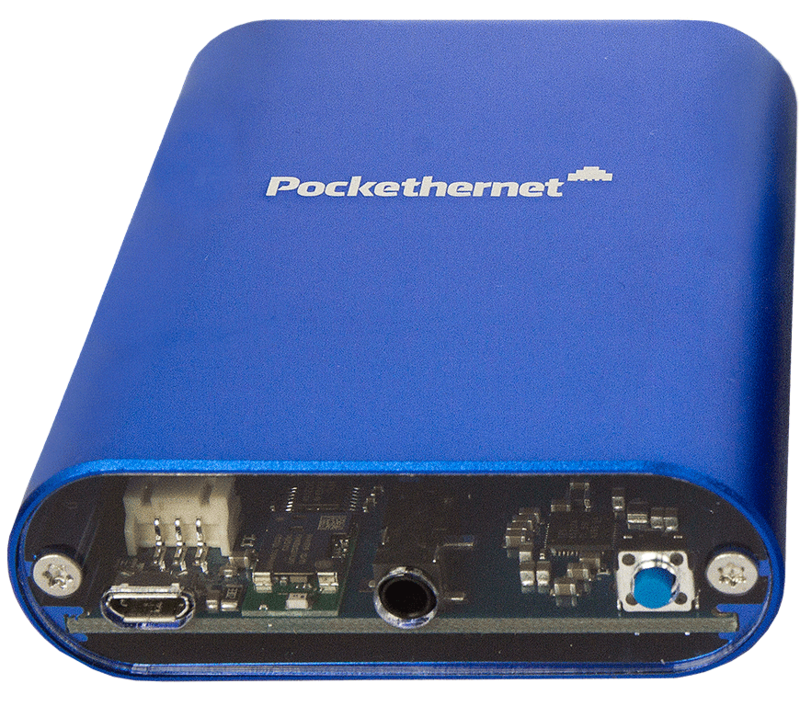 As a hardware product, Pockethernet needs to comply with regulatory requirements. We need to assess these country-by-country which takes time. Regions that we currently ship to include: EU, USA, Canada, Australia, and New Zealand. If you are interested in buying Pockethernet outside of these regions, please write us or sign up to our newsletter to be notified when it's available. 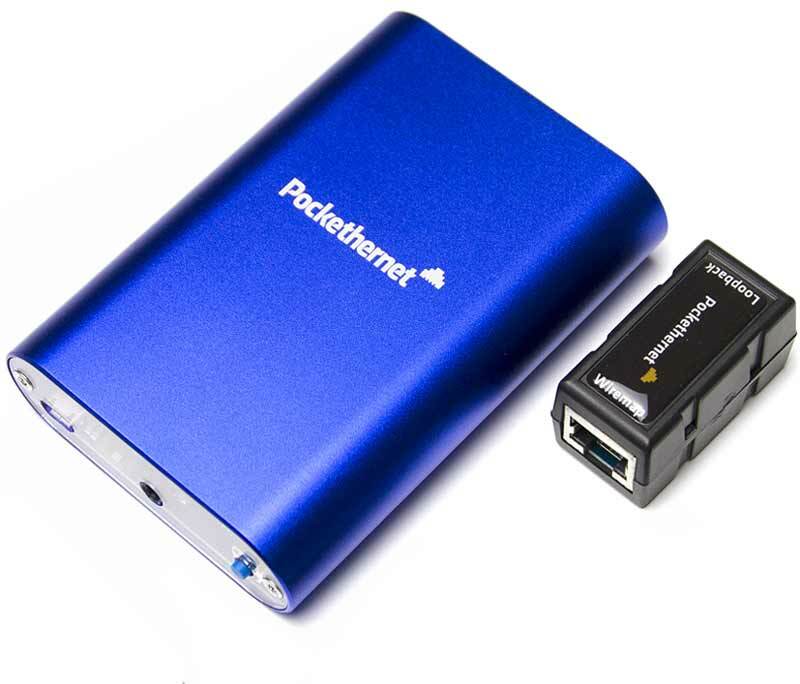 Can I buy Pockethernet in a retail store? 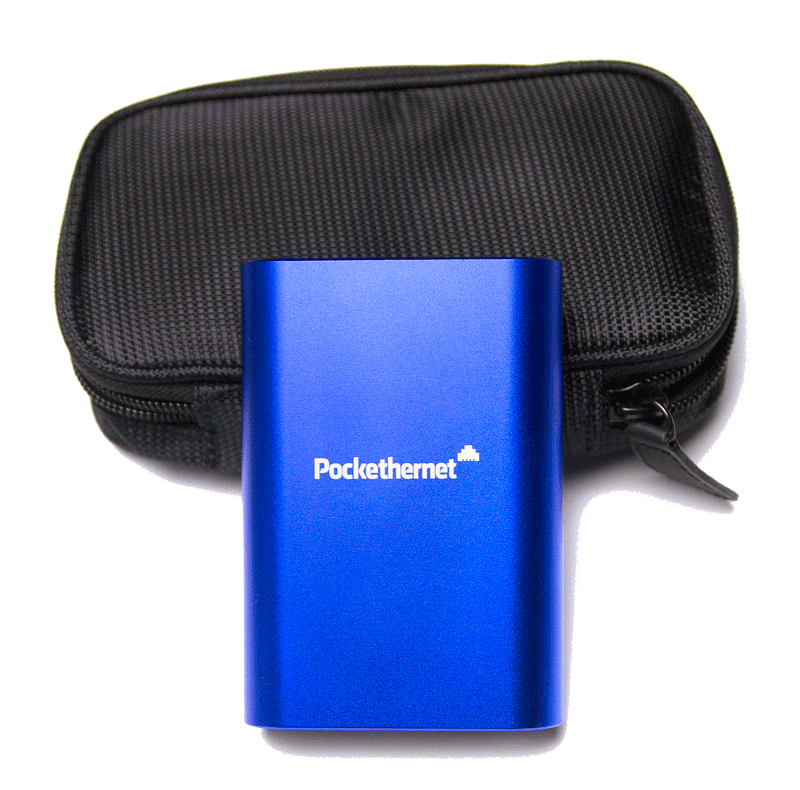 No, at the moment Pockethernet is only available for purchase via our online shop. I’d like to order a Pockethernet for my company. Will I receive a commercial invoice? Yes, all orders are shipped with an invoice. I'd like to order for my company. Can i get the order VAT free? The shop won't accept my VAT number? How do I reset Pockethernet? There's a reset function in the device: Press the power button for 10 seconds, and then connect the USB plug. Is Pockethernet compatible with other wiremap adapters? How does Pockethernet do single-ended length measurement and fault locating? Can I use the toner on a live wire that has a switch on the other end? Yes, neither Pockethernet nor the other device should be damaged as the signal is just a couple of volts and current limited. The only drawback would be that the sound level will be much lower as the Ethernet transformer and the terminations ground the signal. Also, if it's a shielded cable and the connector on the other end gets grounded by the remote device, it may completely shield the signal. Can I use the wiremap/loopback terminator as an RJ45 Coupler? Can Pockethernet detect which VLAN a port is connected to? If the port is in access/untagged mode, the VLAN tags are removed by the switch before sending out the packets, hence they are not detectable by the device. If configured for the port, Pockethernet can receive CDP or LLDP information, which usually includes the native VLAN ID. If the port is in trunk/tagged mode, or is an access port also carrying tagged packets, you can use the traffic monitor feature to see the VLAN IDs of frames that are sent over the link. Does Pockethernet support IntelliTone from Fluke? How close does my phone need to be to Pockethernet to work? Under normal conditions, Pockethernet should be kept within 10 meters of your phone. 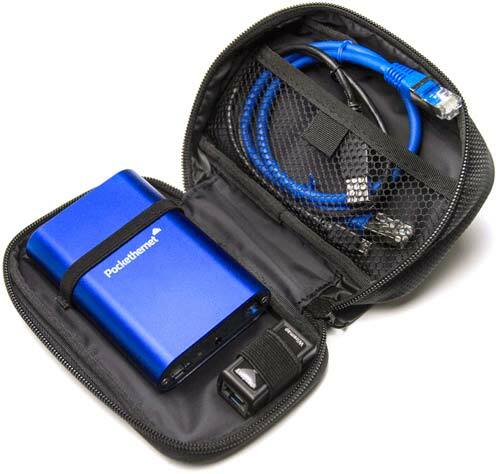 For which tests do I need the Pockethernet wiremap/loopback terminator? The Wiremap side of the terminator is used for the *drum roll* wiremap test. The Loopback side is used for the BER test. Can Pockethernet be used to test IP cameras? Is the TDR limited to 300m because of software or hardware reasons? How many errors are acceptable with a “BER” test? Ethernet is failure tolerant, it would still work with many errors, but with a reduced bandwidth.A good quality cable which is installed correctly should return 0 errors. A few errors shouldn't be a serious problem, this still should be considered a good cable.